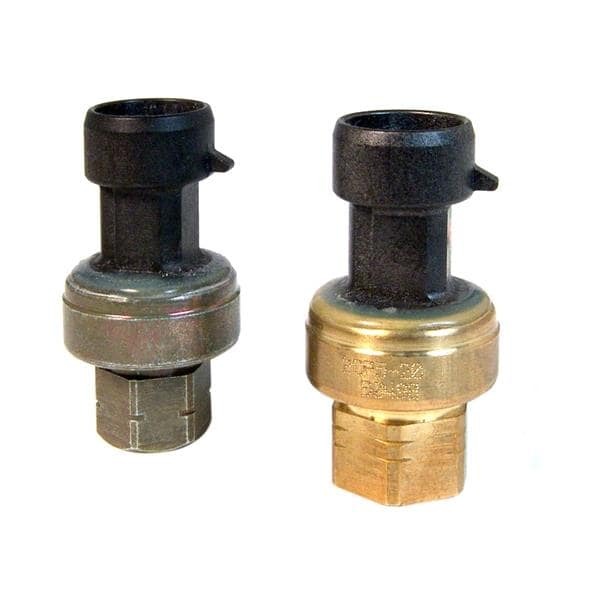 This series of pressure transducers are Restriction of Hazardous Substances (RoHs) compliant, come with different options (accuracy, temperature ranges, pressure ports etc. ), and all three of these devices have a voltage output as well as a Packard connector. Overvoltage and short circuit protected. If an application requires a device or option not shown, please contact your local Component Distributors sales representative and we can discuss your OEM application. Sensata Technologies is one of the world’s leading suppliers of sensing, electrical protection and control solutions across a broad array of industries and applications in the automotive, appliance, aircraft, industrial, military, heavy vehicle, heating, ventilation and air conditioning, telecommunications, recreational vehicles, marine, medical, information processing, electronic power supply, power generation, construction, agricultural, and alternative energy markets. Our products improve safety, efficiency and comfort for millions of people every day. Component Distributors, Inc. (CDI) is a value added distributor of high performance LED, power, rf & microwave, precision measurement, and sensor and wireless component technologies. CDI distributes globally and provides local application support and customer service across the Americas.